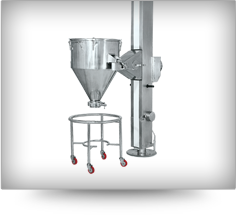 Tapasya's Elevator device is custom designed to lift and position any type of container involved in solid dosage manufacturing and also for liquid compounding operation. This system ensures dust free transfer of in-process materials enhancing cGMP standard, and simultaneously eliminating laborious manual operation. 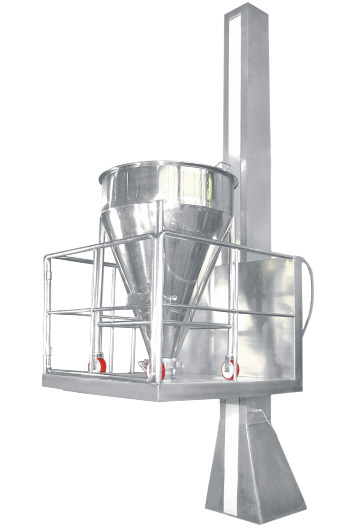 Elevator operates by engaging the container to a semi-circular / single hook / fork type / platform, lift arm attached to a column. 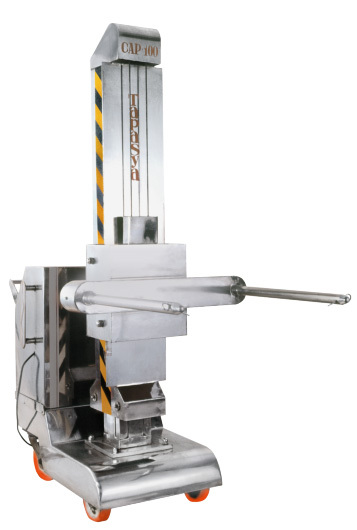 The container is then raised or lowered by hydraulic system with built in safety parameters. 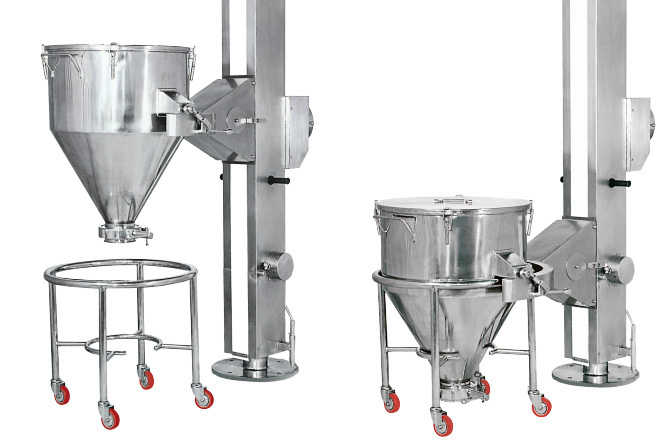 The four point contact bearing on the column base with a low resistance factor makes it possible to position loaded container by hand radially, to discharge the contents in the process equipments. 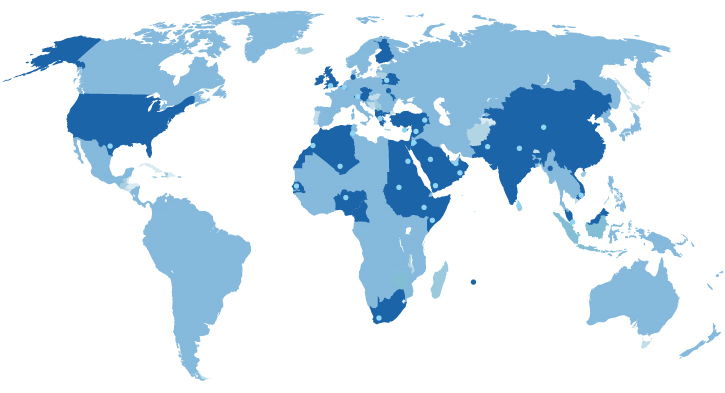 Varied applications including charging of Sifters, RMG, Compression machine, Packing machine, blenders, etc.